This guest house is going to be an AirBnB on our farm, overlooking our pond, and it looks like a million dollars thanks to Scott and his team. There are no words to express how thankful we are. We will be hiring them again. Thank you Kelly’s Team! Asphalt shingle, architectural shingle, metal, composite slate, wood shake………..
To request an estimate fill out the following form. We will schedule your free estimate or call 401-268-7075 today. Call or fill out the form today for your free estimate. Our crews are certified and skilled allowing us to provide extended warranties and financing. We use quality material for your new roof or siding project. 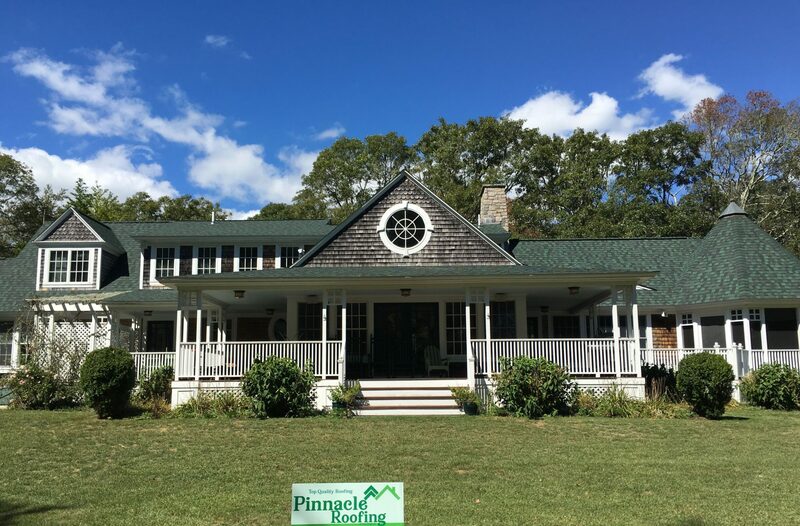 Asphalt shingle, architectural shingle, composite slate, metal, wood cedar shingle for roofs and vinyl, wood plank and cedar shingle, cement fiber, James Hardie, for siding options. Our project managers are knowledgeable in the wide selections of material to use and will assist you in making your choice. There are definite signs to look for in determining if it is time for a new roof for new residential roof installations. If you can visually see cracked shingles, curling shingles, sheathing, shingle or siding decay, any of these visual cues suggest it is time to call a professional to take a look for a residential roof installation quote. Leaking in the attic after heavy rain, stains on the ceilings or walls, blistering pain are also signs. if yo notice the the roofing granules in your gutter s and downspouts or have high energy bills these are also clues as well. Where to start with roof installation? roof installation roofing material options.